Looking for a new magazine to read? Fill out the form to get a FREE issue of HGTV magazine! You have a Wing Stop near and plan on eating some wings this month, be sure to PRINT a coupon that gets you some FREE Fresh-Cut Seasoned Fries with your purchase. For those of you that like to rent movies from Redbox, the Text For Ten Days promo is back. Text the word TEN to 727272 to receive a Redbox deal every day back via text message. This promo is good through 03/03/14. 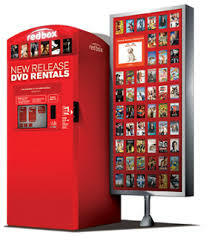 I just sent the text and got a Redbox coupon code for a buy one get one free rental! 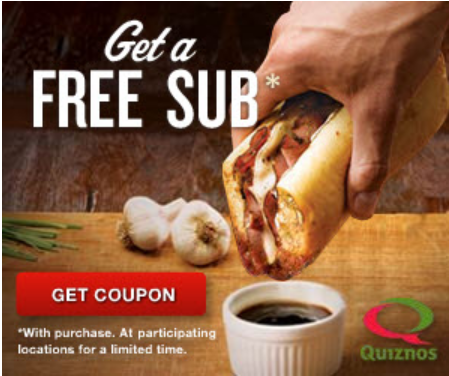 For those that eat at Quiznos, be sure to print your Quiznos coupons for a BOGO small sub and a $2.99 small Honey Bourbon Chicken sub. For those of you on Facebook, be sure to enter the Snickers Instant Win Game. I just entered for the first time and WON a FREE Snickers. This sweepstakes has over a million winners. You can enter daily through 02/28/14. If you win, leave me a comment and let me know! For those looking to go see a movie there is the Oscar Buzz Days promotion. Buy one and get one FREE AMC movie tickets to see select films. This promotion with coupon is valid through 02/27/14 at participating AMC locations. Have you seen any of these films? Are they any good? Right now Walgeens has the Starbucks K-Cups on SALE for only $6.99. If you save coupons you might be able to get these for even cheaper. There are a couple coupons that you might have saved that could get you a box of these K-cup for only $4.99. Right now there is a printable coupon available for $1.50/1 OFF the Speed Stick GEAR Deodorant. This coupon is valid on the Speed Stick Deodorant, Antiperspirant or Body Spray. Shopping at Walgreens soon? 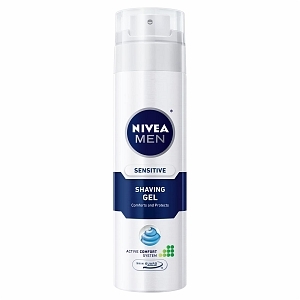 Right now there is a hot deal this week for the Nivea Shave Gel. Right now Walgreens will give you 2,000 Balance Reward Points when you buy two of the Nivea Shave Gel products.